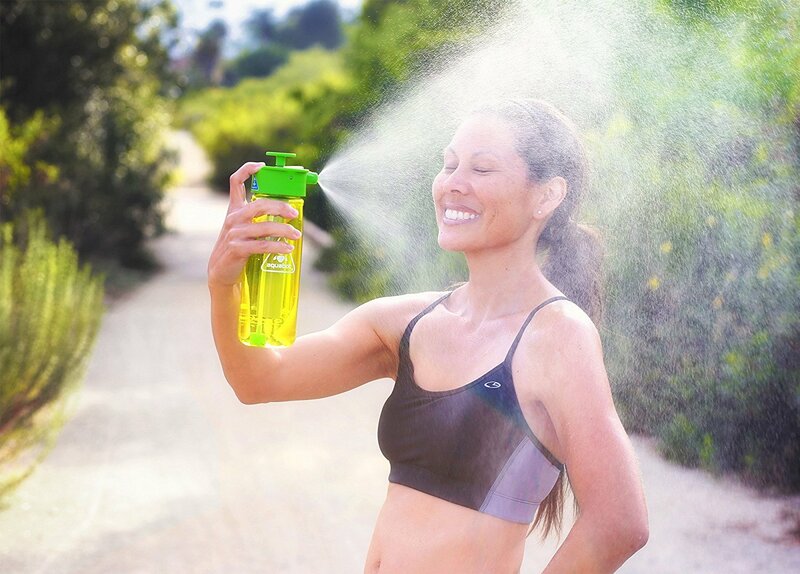 This bottle is a pressurized mister, camp mini shower, and a regular water bottle all in one! These features make it excellent for hydration, cleaning off, misting to cool down, and more. All you need to do is pump to build up the pressure, twist the nozzle to select your spraying choice, and spray away! You have a few spraying options to choose from including mist, shower or stream, and spray. The AquaBot Bottle includes a variable flow trigger and three attachment points. It also can be used upside down with no problems and has a patent pending stealth and pulse modes for more control over your water! The AquaBot Bottle can carry up to 1 liter of water and all these features make it useful in a myriad of situations including sports, camping, backpacking, hiking, going to the beach or lake, cleaning out wounds, hydrating your and your pets, cleaning gear, and anything else you can imagine. The bottle itself is BPA free and the design allows you to easily disassemble the bottle for easy cleaning and maintenance. It also comes with a 6 month manufacturer’s warranty against any manufacturer defects. With this in mind, you know you’re covered if you receive a defective product. If you’re looking to upgrade your water bottle, look no further than the AquaBot Bottle!